Anna Louise (McKinney) Turner, 99, passed away peacefully Tuesday, April 9, 2019, at her home at Porter Hills Village in Grand Rapids. Sis was a loving wife, mother, grandmother and great-grandmother who cherished her family and was an inspiration to all who knew her. Sis was born Nov. 1, 1919, in Springfield, Ohio, to Otho and Louise Turner, who preceded her in death. She is now reunited with her beloved husband of 33 years, Dr. Charle Turner, who passed away Feb. 6, 1976. Sis will be lovingly remembered by her son and daughter-in-law, Michael and Peg Turner; her granddaughters and their husbands, Amy and Nick Thole and Tracy and Bob Wolford; and her great-grandchildren, Alex, Drew, Lauren, Michael and Peter. She was also preceded in death by her brother and sister-in-law, Admiral William and Hertha McKinney. Sis was a graduate of Muskingum College in New Concord, Ohio, where she was the homecoming queen in 1939. She spent most of her adult life in West Branch, where she was a teacher, guidance counselor and basketball and cheerleading coach at West Branch High School, which later became Ogemaw Heights High School. She gave back to the community she loved as a volunteer at the local library and hospital and as a board member at Kirtland Community College. Sis was a longtime, active member of the First United Methodist Church of West Branch. She was a sports enthusiast who loved to golf and watch basketball. 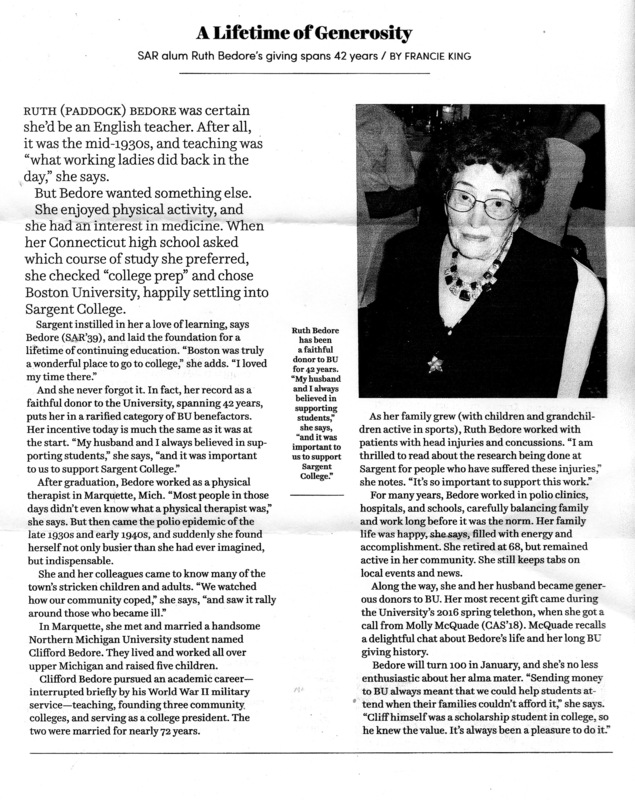 She was an avid knitter, bridge player and reader. In her later years, Sis enjoyed Saturday evening wine and cheese parties with her friends at Porter Hills. family would like to express appreciation for the great care she received from the staff at Porter Hills Village and Emmanuel Hospice. Arrangements for a celebration of life service at Porter Hills Village are pending. In lieu of flowers, memorial contributions may be made to the West Branch Alumni Scholarship Fund, 3858 Miller Drive, West Branch, MI 48661; Porter Hills Foundation, 4450 Cascade Rd. SE, Grand Rapids, MI 49546; or to Emmanuel Hospice, 2161 Leonard St. NW, Grand Rapids, MI 49504. Frankenmuth, MI - Hildred Louva Moss, 99, passed away on July 3, 2017 at Independence Village, Frankenmuth, MI. 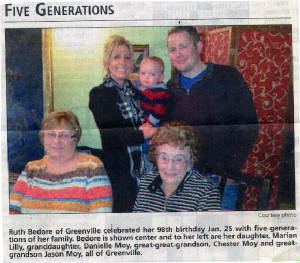 She was born on Nov. 10, 1917 and raised in Mayville, Michigan by her parents, Georgia & Harry Lester (editor of the Mayville Monitor). Hildred married her high school sweetheart, Walter C. Moss, who passed away on July 18, 2001, one of nine siblings. She is survived by their daughter Harriet (Warren) Hopkins of Northbrook, IL, brother, Harry Lester of Alger, Michigan and granddaughter, Tiffany Carter of Westlake Village CA. Hildred and Walt's son, Tom Owen Moss, died when he was a baby. Hildred was preceded in death by her sister, Cathryn Lester Fox, and brother, George (Joyce) Lester, plus devoted and loving Aunt to Cathryn's children-- Alan, Ron and Paula Fox who lost their mother early in their lives. Hildred's baby brother (Harry) was born when she started her first year of college at Western State University. She loved hearing about Harry and June's (deceased) three children-Florie (deceased) Jonna and Mark and their families. Ron and Brenda Fox have been devoted caretakers during the last three years plus frequent visits/stories/photos from Paula, Alan, Sue plus members of the Moss family, really brightened her day. Hildred and Walt Moss lived in West Branch, MI for 51 years, then moved to Frankenmuth in 1997 after Walt retired from his business. 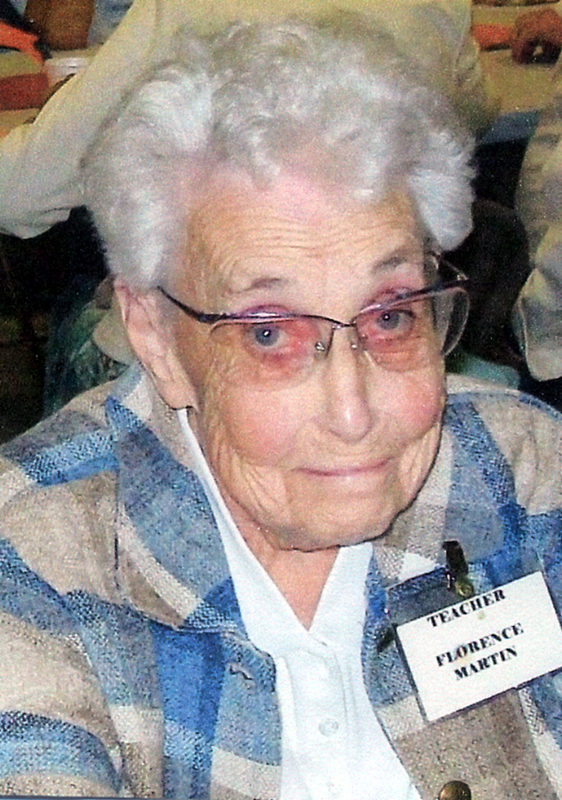 She was a beloved teacher for 23 years at West Branch High School and Ogemaw Heights. Hildred was a member of a chapter of Delta Kappa Gamma, member of Michigan Association of Retired School Personnel, and member of the United Methodist Church of Frankenmuth, MI. Mr. Murray loved the Alumni Association and always attended if he was able. He and Loa will be missed. Loa passed away Aug. 14, 2014 and Alan passed away Sept. 29, 2014, both in Briarwood Assisted Living. Loa was born Feb. 8, 1927 in Covert the daughter of Broadwell and Maudie (Cutler) Smith. Alan was born April 22, 1925 in Bloomingdale the son of Alton and Eunice (Loughlin) Murray and they have lived in the Bloomingdale area for the past 34 years. 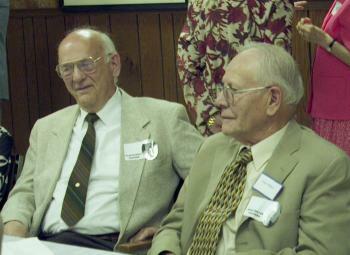 They were both members of the Bloomingdale Historical Society, and both were teachers for many years in West Branch, MI. For both the most important thing was their family. Survived by 4 children, JoAnn (Peter) VanOosten of Sierra Vista, AZ, Robert Murray of Ypsilanti, Jean (Mark) Witzke of Richmond, CA, Gail (Carl) Simpson of Bloomingdale; 13 grandchildren; 2 great grandchildren; Loa's brother, Gailen (Wendy) Smith of Aspen, CO; Alan's brother, Lloyd (Florence) Murray of Marcellus; and many nieces and nephews from both sides. Family who also have passed away: a son, Douglas Murray; a sister of Loa, Barbara Taylor; brother of Alan, James; and a sister of Alan, Donna Griffith. A memorial service for both will be held at 5:00 PM, Saturday, October 25, 2014, at the Bloomingdale United Methodist Church. Arrangements by the Bloomingdale Chapel, D. L. Miller Funeral Home. Europe or not. The dilemma was that I had just come out of the hospital where I was held for a week with a severe case of "C diff" that intestinal disorder (colitis) that tears up the bacteria in the intestines. If I was not well enough to travel we would not go on the trip. This week we determined that it would be wiser to put the trip off as my illness was not completely healed, although the strength is coming back better each day. So thanks for the invite and apply the enclosed funds to the scholarship fund. May this find you in good health and of course keeping all the reservations sorted and tabulated. You may have heard from Al Murray, and my last communication from him is that they are planning to move to Chelsea so Loa will have good care and be closer to some of the family. 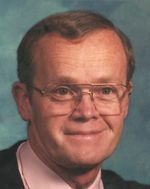 Tom Shaw, former WBHS teacher, is now living in Texas with his wife Phoebe, and pets "Jocko the dog" and "Tigger the cat"..
Zale C. Miller, 90, of West Branch, passed away June 13, 2013. 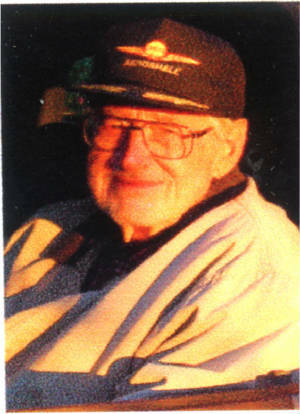 Zale served in the United States Navy during WWII and was a school teacher in Michigan for 38 years. Survivors include his wife, Williadean Miller; children, Gerald Miller, Julia Sliwiany, Marsha Arrieta and Monica Miller; sister, Ruth Friskney; brother, Walter Miller; and seven grandchildren and four great-grandchildren. There will be a memorial service in Florida at a later date. Dr. Clifford Joseph Bedore, Jr.
Mr. Bedore was loved and respected by all who knew him at West Branch High School, where he taught and coached for several years. In 1950-51 he went to MSU on a grant to be brought up to date in chemistry. Mr. Alan Murray related to us that Mr.Bedore said "they" had taken chemistry way beyond him and he started working on an education MA. His first job after that was County Supt at the Sault. Then he got his Drs and moved to Greenville as finance director- then Pres of the Comm College. I am thinking that he moved away from WB in the early 60’s . He and his wife Ruth and daughter Melanie have attended many Alumni Banquets and it was hard to tell who enjoyed it more...him getting to renew memories with us, or our getting to renew memories with him. He will be greatly missed and remembered by all. Dr. Clifford Joseph Bedore, Jr., age 93 of Greenville, died Friday, November 30, 2012 at Spectrum Health United Memorial United Campus. He was born July 24, 1919 in Highbridge, WI, the son of Clifford Joseph Bedore, Sr. and Charlotte Evelyn (Heideman) Bedore. On June 14, 1941, he married Ruth Myra Paddock. Dr. Bedore proudly served his country in the United States Army during World War II, serving in the Pacific with the 503rd Parachute Regimental team and in Japan with the 11th Airborne Division; he was discharged as Captain in 1946. 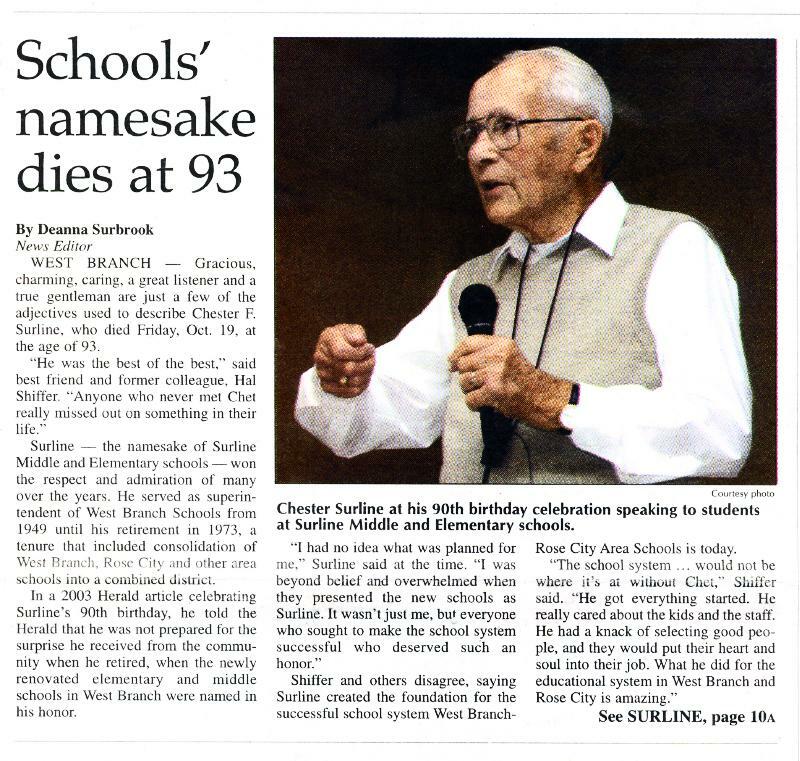 He graduated from Gogebic Junior College in 1939 with an Associate of Arts degree and Northern State Teachers College in 1941 with a Bachelor of Science degree. He went on to earn his Master of Arts degree from the University of Michigan in 1951 and Doctor of Education degree from Michigan State University in 1968. He served in a variety of educational capacities throughout his long career. He taught chemistry, physics, biology and general science and coached tennis, skiing, basketball, and football. He served on the staff of the Bay Cliff Health Camp. He was appointed Superintendent of Soo Township Schools in 1960. He was the founding Business Manager of Montcalm Community College from 1965 to 1970, when he began serving as interim President. The interim title was removed shortly thereafter, and Dr. Bedore served as President of MCC from 1971 to 1978, where he assisted in the accreditation of the college. He also volunteered in a variety of capacities, including as Chairman of the Montcalm County Commission on Aging for many years. He enjoyed athletics, and enjoyed deer hunting, playing golf, bowling, rock collecting and photography. He spent many summers at the family cottage in Traverse City, fishing and watching the loons nest. More than anything, Cliff was a wonderful husband, father, grandfather, and great-grandfather who loved spending time with his family. He will be deeply missed, especially by his loving wife of 71 years, Ruth of Greenville; children, Dana Bedore Phillips of Pittsburgh, PA, Clifford (Bonnie) Bedore, III of College Park, MD, Marian (Dan) Bedore Lilly of Greenville, Howard (Julie) Bedore of Traverse City, and Melanie Bedore of Greenville; eight grandchildren; two step-grandchildren; nine great-grandchildren; seven step-great-grandchildren; three adopted great-grandchildren; and sister, Priscilla Bedore Gass of Ironwood, MI. He was preceded in death by his parents and a sister, Donagene Bedore. Dr. Bedore was a longtime member of St. Paul's Episcopal Church, Greenville. Al Murray and Zale Miller at Banquet..
Dr. William E. Wood, age 78 of West Branch, passed away Friday, September 17, 2010 after an extended illness, in his home, surrounded by his family. William was born on October 13, 1931 in Canton, OH. He married Kaye Mortenson in 1956 in Flint. 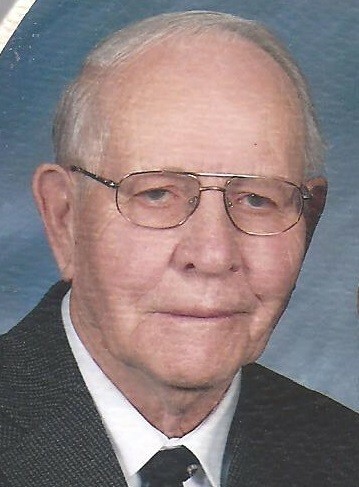 He had lived in West Branch since 1958. William taught for WB-RC Area Schools, Assistant Principal of West Branch High School, Administrative Assistant for West Branch Schools, Principal for Ogemaw Heights High Schools, Surline Middle School, and St. Joseph Catholic School. He was a member of St. Joseph Catholic Church and West Branch Optimist Club. William volunteered for Hospice of Helping Hands, Habitat for Humanity, West Branch Regional Medical Center, West Branch Boy Scouts and was one of the founders for the Caring Pregnancy Center. William Is survived by wife, Kaye M. of West Branch, daughter, Terrye A. (Dean) Kinch of West Branch, son, William R. (Helen) Wood of North Pole, Alaska, son, John J. (Resia) Wood of Colorado Springs, CO, son, Michael T. (Yunmi) Wood of Los Angeles, CA, and son, Hua S. Uy of San Diego, CA. Also surviving are 13 grandchildren, 6 great-grandchildren and sister, Johanna Lilliequist of Denver, CO. He is preceded in death by son, James R. Wood and 2 sisters. Memorial contributions may be made to Heartland Hospice, St. Joseph School, or to the family. 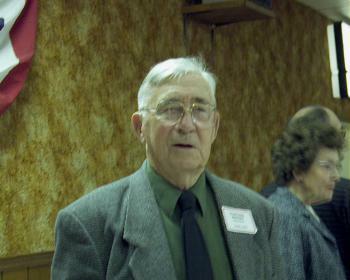 Saturday, November 10th, I attended the Memorial Service at the United Methodist Church in West Branch for Mr. Surline. The church was packed..front to back and side to side. The memorial service was wonderful...there were both humor and tears. George D. Webb 2nd, Brother in law, shared his memories of Chet. Randy Surline, Greg DeMatio, and the grandson of Mr. Surline, (Randall J. Surline 2nd) each shared memories of their Dad, Granddad and friend. Alissa Bunnell, great granddaughter of Mr. Surline, shared a scripture reading from Ecclesiastes. Tom Rose, who for 8 years was transportation superintendant under the direction of Mr. Surline, shared his memories of working under Mr. Surline's leadership. A beautiful luncheon, prepared and served by the people of the church, was enjoyed by many after the service. Graveside services were held at the Denton Township Cemetery at Houghton Lake. Mr. Surline and his wife, Ethel, and son Todd had lived at Houghton Lake for several years. Todd graduated from Houghton Lake High School. Many family and friends attended the graveside services. After Randy had placed the container of ashes in the open grave site...he laid a folded green and white Michigan State necktie atop the box. During the memorial service, almost everyone mentioned Mr. Surline's love for Michigan State.